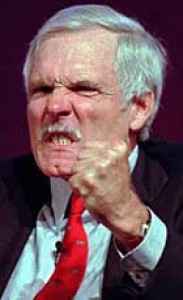 I always laugh at that quote from news magnate/sailing champ Ted Turner. Ol’ Tie-One-On Ted sure had a way with words…probably still does, as I don’t really think he’s kicked off quite yet. I’m sure they’d report that on CNN…or he’d kick their asses. My Tie du Jour had nothing to do with CNN, Ted Turner or any of Time/Warner’s other holdings. It was chosen since I was going onto Northwestern’s campus on a Chamber call. So, yes, of course, the TdJ is mainly purple. A beautifully striped strip from Astor & Black, I like the way the different textures capture the light in, um, different ways. Not sure why this gets it into UTW (Unique Tie Wique), but let’s just say that it does. 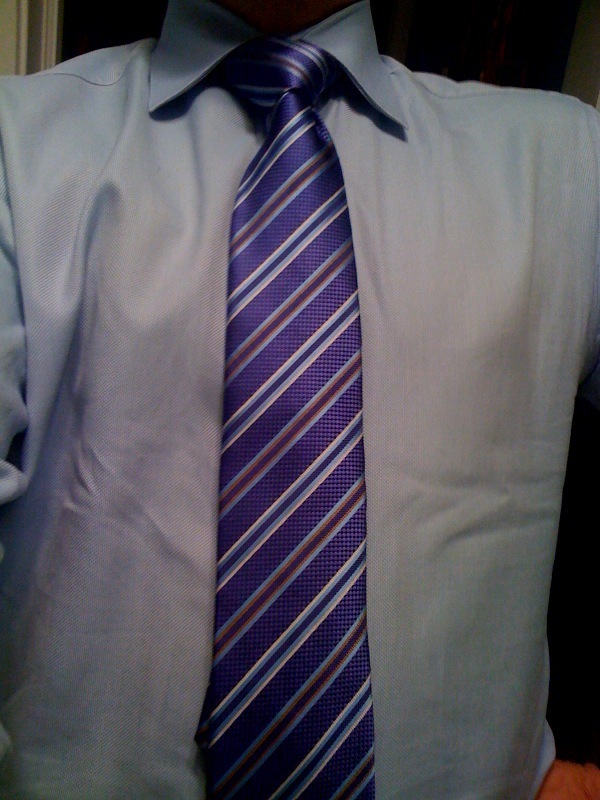 This entry was posted on April 27, 2011 at 9:52 pm and is filed under Guys With Ties, Tie du Jour. You can follow any responses to this entry through the RSS 2.0 feed. You can leave a response, or trackback from your own site.